It was field trip day on the May 18th episode of AKBingo! Yatta!!! Another great thing about Stage48 are Gideon’s AKBingo! translations. Although the show is generally easy to follow. At this point I don’t have a translation of the show, so I am going to shoot from the hip! The show begins with Acchan reading a letter from a fan, Saito Yamato…I’m guessing to invite them to perform at his school for graduation. Actually I’m not quite sure if the kid was that bold. Nevertheless, they are on their way! 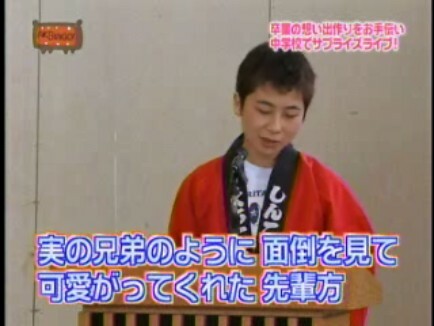 It turns out that Yamato-kun is another Acchan wota. 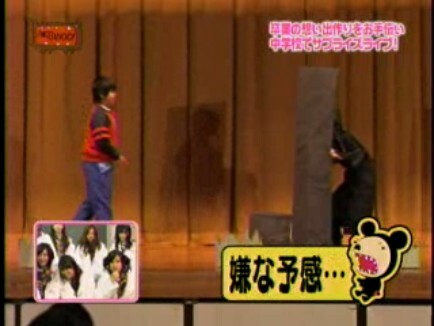 The girls, along the AKBingo’s show hosts sneak into the school. We don’t want to spoil the surprise! The plan is to get Yamato-kun out of class under false pretenses, then surprise him with a new “student”. The Boys set up a radio communique with Acchan. Why? I guess for comedic effect. And it seems that Atsuko thinks there might be a romantic spark between she and Yamato…Lucky guy! It’s the schools end of the year bash. Looks like a rager, eh? But strange things are about to occur. Who’s that quirky director stage-right? Ohhh, it’s Sae-chan. If they are coming all the way out there, they might as well have a little fun, right? 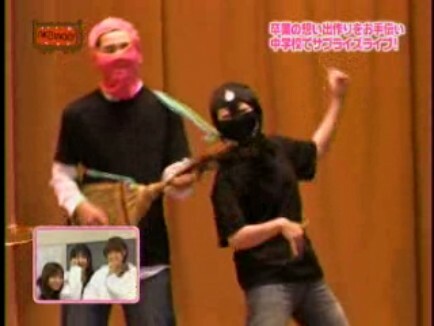 Takamina infiltrates a skit. At this point the students are noticing something is a bit “off” here. So not only are they going to perform, they are also participating in the entire show, albeit incognito! Who is that masked girl? 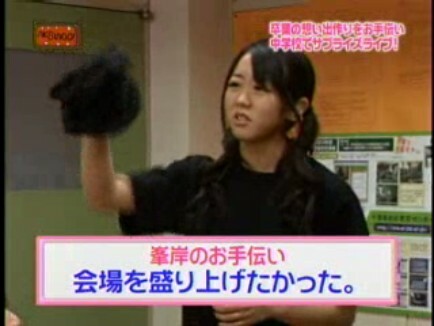 Miichan is the best! That’s the first time I have even seen her wearing blue jeans. That’s awesome! Are these guy pantomiming Pornograffitti? 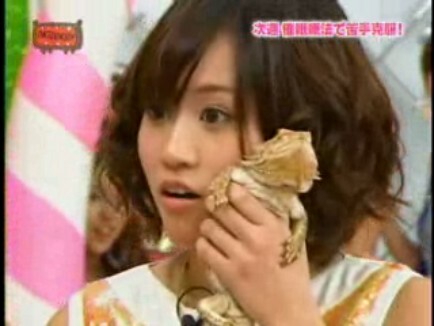 Acchan hypnotized??? I gotta see this! Next Hypnotizing the Idols…Oh, the Possibilities! I want AKB to perform at my graduation! 😀 I’ll send them a letter.